Not his fault the football that we were playing, but within that style he saved us, and helped us win a lot of times. I like him. And I think he'll return to a European league in a season. 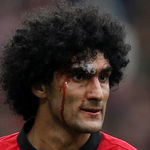 Good Luck Fellaini! Thanks for the important goals. This. I appreciate him for that, and from a particular point of view, i think he will be missed. He's like the Frankenstein monster. The fact that He existed as a Manchester United player wasn't entirely his fault, He became a scapegoat for being weird among the normal Manchester United players. He didn't really fit in. But I still appreciate him for trying his hardest and never moaned. See you around big fella, gonna miss those celebrations of yours. Punch! "Marijuana Felony is finally outta the Manchester Unity franchise after the Satans realized he was just a humongous dumbass who could not even soccer real good and should go some place else and quit goofin around and doing bad plays for their team. He's gone to China or some other place in Africa or whatever. Who even cares?" Good luck to him. He played an important role in some of our big games. Especially when we won the EL. It's trying to rewrite history if we deny his contributions. The fact that he did not suit the style of play that United wants is not his fault. Yeah he had moments and was on the rare occasion pretty good (the first part of Jose's first season comes to mind) but I won't pretend that I'm not ecstatic to see him leave. This will now force whoever manages us next season to play football the way most of us want to see us playing. No more easy get-out-jail card available. All the best big Fella! Hope you never got to visit the Cafe during your stay with us. Appreciate all you did for us and you deserve your big pay day. Whenever I get the thrash out it never sent me a farewell statement to thank me back. On a serious note, I very much doubt that he left on good terms. After all he signed a new contract only to be shown the door soon afterwards. 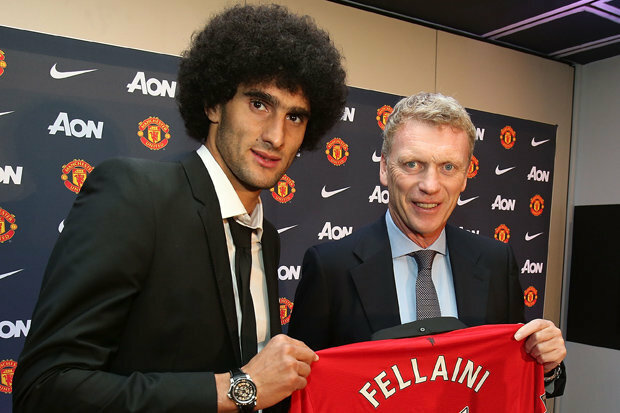 All the best Fellaini, probably the best deal for both parties. Great servant for the club and a top pro. Will not be missed but I will say thank you for always giving your all,fighting hard and atleast not downing tools like many of your team mates. Was never a Manchester United player but that was not his fault so i will not abuse him on his way out.